Rajasthan Royals: Why the Champions Are Always the Underdogs!! Rajasthan Royals have been the first team to lay their hands on IPL trophy. They started IPL season 1 as the underdogs, still won it. But, surprisingly even then in the last two editions they were not considered more than a good underdog team. Can they shed their underdog tag in the revamped IPL!! 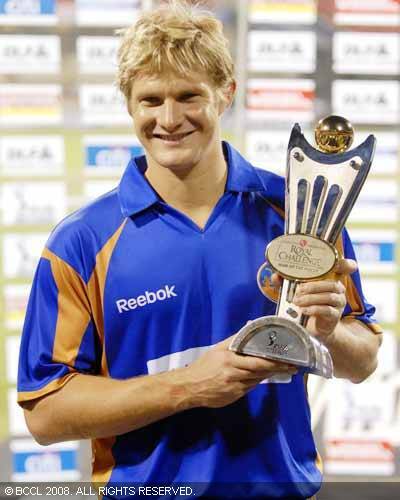 When Rajassthan Royals won the inaugral edition of IPL in 2008, everyone was shocked. Many termed it a fluke. They won 13 matches out of the 16 matches played, the most by any winning team of last three IPL editions, still everyone considered them just lucky, not a stong team. How can a team with a record of 24 wins and 19 losses be considered Underdog!! Won all three matches against Chennai Super Kings, both matches against Deccan Chargers, Royal Challengers Bangalore and Kolkata Knight Riders. Won 2 against Delhi Daredevils after the first match thrashing received in their first match against DD, won 1 and lost 1 against Kings XI and Mumbai Indians. South Africa as venue tested their players. Yusuf Pathan and other Indian players could not do much. They lost both matches to Chennai Super Kings, lost and won 1 match each against Deccan Chargers, Delhi Daredevils, Kolkata Knight Riders, Kings XI and Royal Challengers. With Mumbai Indians they lost one match and another was abandoned. Against KKR they won after a tie. The performance did not improve much even when tournament returned to India. Still it was better than many other teams. 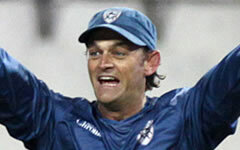 They won both matches against Deccan Chargers and Kings XI. They had equal result with Chennai Super Kings and Kolkata Knight Riders, but lost both matches to Delhi Daredevils, Mumbai Indians and Royal Challengers Bangalore. While first edition brought super succes to them, other two editions did not help them in shedding the tag of underdogs. The team’s trinity has broken. Surprisingly, Yusuf Pathan has been not sought after by RR. other two major players Shane warne and Shane Watson were retained. Among the seven players bought, Johan Botha and Pankaj Singh have been retained. Ross Taylor is the best pick and may help Royals not feel the absence of mercurial Pathan. Rahul Dravid has performed well at IPL, he may continue doing the same, since he has lot of time left now for IPL matches, yet can he be still the match winner!! That is doubtful. Colleingwood has been badly out of form. Shaun Tait is a good pick, considering he is in good form. Overall the team balance again hangs out on strength of the not-so-famous Indian bunch. Due to the blocakge of their kitty during the auction of players for IPL 2011, they could not even invest in players that they may have liked to revamp their team as Kolkata Knight Riders did, leaving their team still as underdogs.